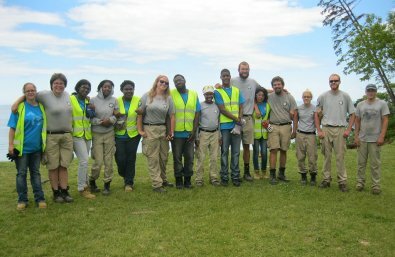 Great Lakes Community Conservation Corps ($25,000)With the support of this $25,000 award, the Great Lakes Community Conservation Corps will provide training and hands-on experience to 200 young adults from low income communities in Southeast Wisconsin. Specifically, these individuals will learn how to install and manage porous pavement, a skillset that is in much demand throughout the region. Great Lakes CCC estimates that their crews will help install roughly 17,500 square feet of permeable pavers throughout the Milwaukee area, thereby greatly reducing runoff from suspended solids and phosphorus. The curriculum participants receive will be based on state and national industry standards so that each participant gains necessary professional credentials.